Working women of faith are subjected to daily blows of lies and deception. We are barraged with messages that we’re not good enough, smart enough, thin enough, spiritual enough. We believe that our professions mean very little in the eyes of God. We’re feeling tired and discouraged from holding ourselves to impossible standards. These damaging lies and labels now have a name: Wonder Woman. Wonder Woman is a symbol of the unobtainable. She is a blend of all the women both real and fictional–that we idolize. She is the whispers of doubt and negative self-talk that run rampantly through our minds. It’s time to stop listening. It’s time to slay Wonder Woman! Killing Wonder Woman is more than a book. It’s a long-overdue weapon that we, as working women of faith, can yield to cut down burnout, destroy discouragement, and set ourselves free of unrealistic expectations. Once we break loose of Wonder Woman’s deception, we can open ourselves more fully to trust God’s plan and integrate Him into all aspects of our lives, including in our workplace calling. Are you ready to win at work and soar in faith? This is your call to arms. 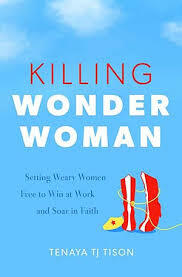 One (or more) Sentence Summary: Killing Wonder Woman, Setting Weary Women Free to Win at Work and Soar in Faith is a good read and you have to be open to the message(s). It is packed of great thoughts, advice and quotes. One of my favorite quotes is, "We were never meant for perfection on this side of heaven." This one simple statement spoke volumes to me, even though I am always trying to be perfect everywhere in my life....it is okay that I am not perfect! Another area that connected with me was being the best employee ever. Activity, Attitude and Awareness will help you be the best employee you can be ever day. You can also adopt a "student attitude" in the workplace, show up on time, let others know you care, do your best every day, and you will have great successes and make great mistakes and be humble in both. These are great concepts to keep in mind every day. There were several other areas throughout the book that I enjoyed and resonated with me and where I am in my life. I believe Killing Wonder Woman would be a great book for any woman to read. I especially think it would be a great book to be read and discussed at all different kinds of women' s interest group meetings at a church. I know my church has several different groups that would enjoy Killing Wonder Women. TLC Book Tour: Make sure you check out what others are saying about Killing Wonder Woman. Tuesday, May 2nd: Read. Write. Repeat. Wednesday, May 3rd: Rev. H-D’s Random Ramblings, Really! Tenaya TJ Tison is a business leader and entrepreneur, with a proven track record as a strategic advisor and change agent within the small business sector. T.J. has held twenty-seven different jobs throughout her life and finally found her calling in helping businesses grow. T.J. and her husband of twenty-five years have two grown children and together enjoy the peace of their Wisconsin hobby farm with a myriad of pet animals. In her spare time (ha ha), she likes to run, play golf, read, and cheer on the Minnesota Vikings. T.J. is also the founder and executive director of Working Women of Faith, a nonprofit that exists to equip women to win at work and soar in faith. To learn more about Working Women of Faith, visit: workingwomenoffaith.com. Synopsis: Marvelous. Honest. Generous. From the first story to the last, "By the Wayside" catches your attention and demands that you give into its every whirl. 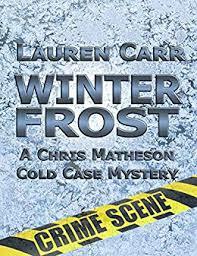 Each character unfolds with a precision that will have you wondering how Parrish managed to create such real-to-the-bones people within a world that captivates you with ease. One (or more) Sentence Summary: By the Wayside is a collection of short stories all very well written usually with a the main character finding their voice. I realized that short stories are just not my genre; however, I have a new appreciate for them. The skill it takes to tell a story in a few pages is amazing to me. 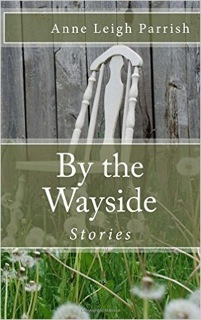 If you like short stories or want to give them a try, check out By the Wayside. 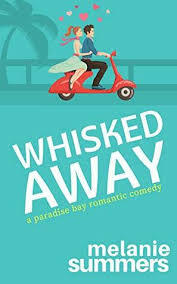 What Others Are Saying: Please check out the The TLC Book Tours to read what others are saying about By the Wayside. Would I Read Other Books by the Author: I would and I have. I really liked her Our Love Could Light the World. You can check out my review here. I would also like to read What is Found, What is Lost. Her novel due out in September 2017, Women Within, sounds great too. Anne Leigh Parrish is the author of All the Roads That Lead From Home, stories (Press 53, 2011); Our Love Could Light The World, stories (She Writes Press, 2013); and What Is Found, What Is Lost, a novel (She Writes Press, 2014). Her new novel, Women Within, is forthcoming from Black Rose Writing in September 2017. 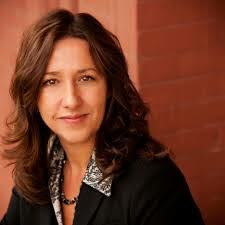 Find Anne on Facebook, Twitter, and her website.